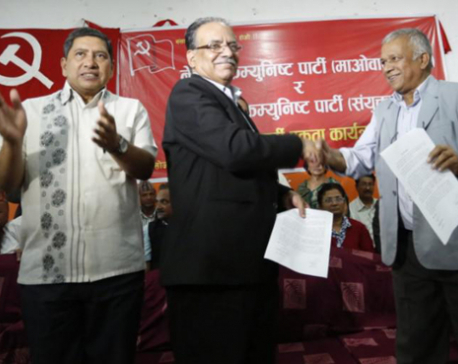 KATHMANDU, Nov 8: Senior leader of the Communist Party of Nepal (CPN), Jhalanath Khanal, has said that there should be unity and collaboration between ruling and opposition parties in nation building campaign. At a Deusi Bhailo programme organised by Reporters' Club at Khanal residence, leader Khanal said that all parties should stand together in common agenda of development and prosperity as well as social and economic transformation of the people. He further said that the government has to pay its attention towards country's development and economic prosperity as people have wanted the same. 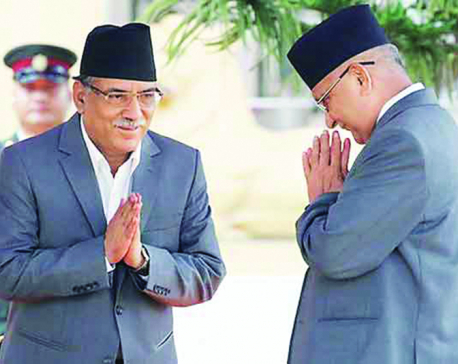 Pointing out the need of ending groupism in the party, also the former Prime Minister, Khanal said , " A Party Secretariat meeting will be held soon to take decision regarding party unification."